“My message to all is clear: serve your people. Do not subvert democracy; do not pilfer your country’s resources; do not imprison and torture your critics,” Mr. Ban said in his opening address to leaders from the UN’s member countries of the UN. Serve your people. Do not subvert democracy; do not pilfer your country’s resources; do not imprison and torture your critics. “We have the means to prevent conflict. We have the potential to close the gap between rich and poor, and to make rights real in people’s lives,” he underscored. The Secretary-General’s opening address, which draws from his yearly report on the work of the Organization, stressed that the Sustainable Development Goals (SDGs) offer a path to a better future, and that with the Paris Agreementon climate change, the “defining challenge” of our time can be tackled. Mr. Ban underlined that the world continues to confront complex security threats from armed conflict to radicalization which compounded by governance failures, have pushed societies past the brink and threatened social cohesion. Turning next to the global refugee crisis and efforts to address it, the Secretary-General welcomed the New York Declaration on Refugees and Migrants, adopted yesterday at the first ever UN Summit for Refugees and Migrants. Looking back at his own term, which ends later this year, the Secretary-General expressed pride that the UN Entity for Gender Equality and the Empowerment of Women (UN-Women) had been established, and that he had appointed more women to senior UN positions than ever before. “I am proud to call myself a feminist,” he announced. Mr. Ban also highlighted that UN’s human rights machinery, along with the Human Rights Up Front initiative continues to place human rights at the centre of its work. The UN chief also called on the President of the General Assembly, to explore, with his successor, the establishment of a high-level panel to find practical solutions that will improve decision-making at the global organization. He also urged all countries to cooperate with and work with the UN’s human rights arm; to not put obstacles in the path humanitarian workers; and not to ostracize or threaten UN envoys or and staff when they raise difficult issues. 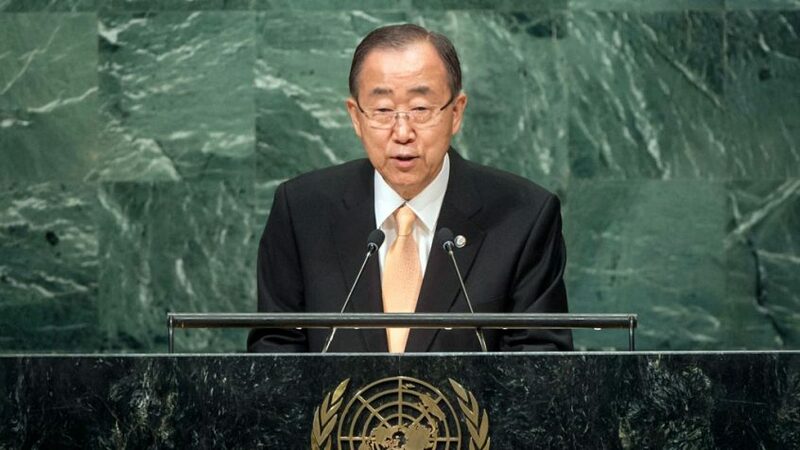 “We must all be open and accountable to the people we serve,” the UN chief underlined.